The elder De Niro was a powerful young painter right in the middle of the rough and tumble art world of the 1940’s and 50’s. He was heavily influenced by French painting. 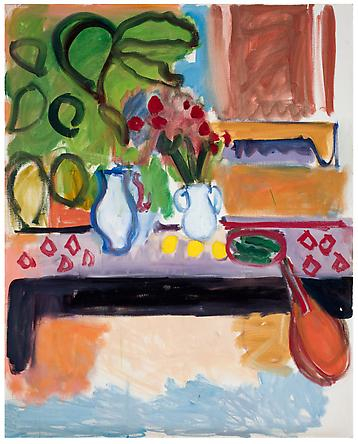 Matisse was his muse. 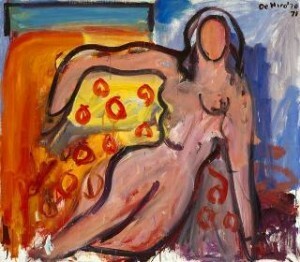 Gutsy and sophisticated, lush, vivid color, luxuriant nudes…an almost animal heat radiates from his canvases. De Niro, Sr. was on the rise. Uh oh. The art world suddenly changed. Jackson Pollock, Willem de Kooning and the Abstract Expressionists came along. 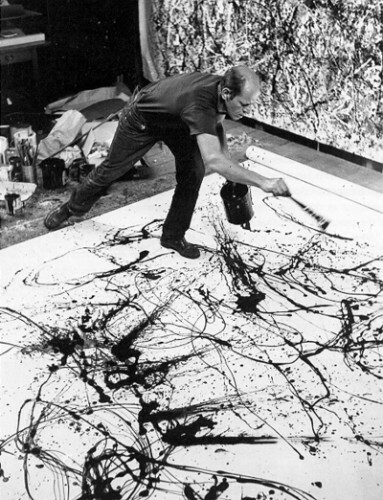 Painting was about the process (such as Pollock’s drip paintings) and not necessarily about the subject matter. De Niro, Sr. had integrity. He remained true to his own vision. He was not an Abstract Expressionist. Discouraged, he left New York and lived in self-exile in Paris. Today, the son honors his father, as Robert De Niro, Jr. gifts us with his father’s work again. Robert De Niro, Jr. talks about his father in this HBO Documentary video trailer. Click here if you are unable view the video. Robert de Niro’s tribute to his father, the artist, was lovely. I personally MUCH prefer “subject matter” to “process”. Fie on ersatz artists like Jackson Pollock! Good to hear from you, and, thanks for the interesting information. I hope you’re doing well and selling LOTS of you wonderful art. Oh shoot! I missed the documentary! That would be so interesting. I like his work. Thanks for filling us in on him. Maybe they’ll show the documentary again on HBO. I had no idea! Thanks for sharing this info!! Thanks for the De Niro Blog. Amazingly, I did know the father was an artist, but only because a friend of mine (years ago) wrote a book on the son and actor. Thank you for sending this wonderful piece of history to me. I enjoyed it very much and look forward to hearing from you again. Thanks for sharing this, Kirby. I saw the documentary and it was very well done. I was inspired to see an artist who kept pursuing his art even though the art trends moved a different direction. He stayed true to himself. Personally, I like his paintings, and I’m glad his son is telling the world. Always enjoyed Robert De Niro the actor. Wide range of portrayals. His father, Robert De Niro, Sr., has successfully remained a near unknown. The artistic talent of the senior De Niro is, however, interesting and enjoyable. His paintings are bold and reveal his passion for life – his passions for reality. As indicated, he had an attraction for impressionism. Good job, Kirby. Once again you have improved my awareness of the almost masked artistic talent that surrounds us.